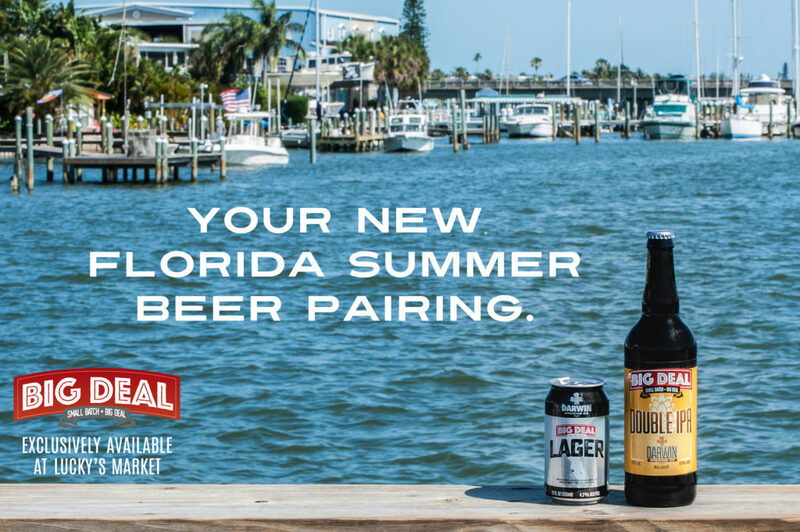 Find these limited-release brews, as well as DBC core beers, at Lucky’s Market locations in Florida. Hazy Mango IPA is juicy, cloudy and brewed with copious amounts of Florida Mango pulp. This New England-style IPA is brewed for Sunshine State summers. Pair this beer with spicy dishes, curries, grilled meats and Mexican cuisine. Released July 2018. 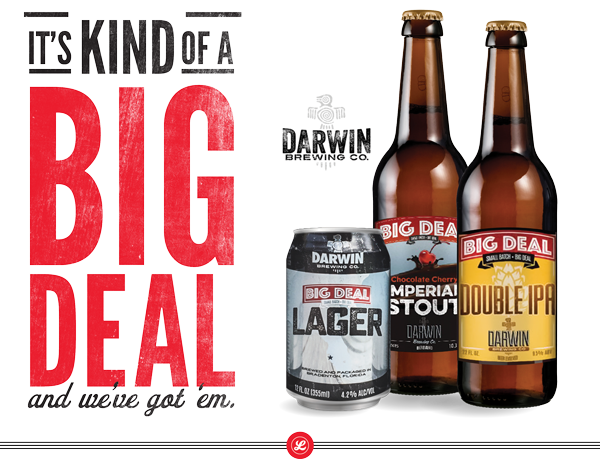 Big Deal DIPA is packed with hoppy complexity, brewed with copious amounts of El Dorado and Centennial hops, and balanced by deep malt undertones. Take in the summery aromas of pear, watermelon, and citrus before sitting back and sipping this big-time DIPA. Released June 2018. Lightly tart with citric undertones and sharp notes of orange and berry, our Blood Orange Berliner Weisse is a harbinger of Florida Spring season. Brewed exclusively for Lucky’s Market. Released April 2018. 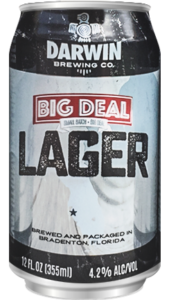 Big Deal Lager is a crisp, smooth German-style lager, perfectly refreshing for days in the Florida sun. Hop varietals from Australia and New Zealand pack subtle fruit notes while the beer achieves balance from the sweet, bready German malts. Released June 2017. 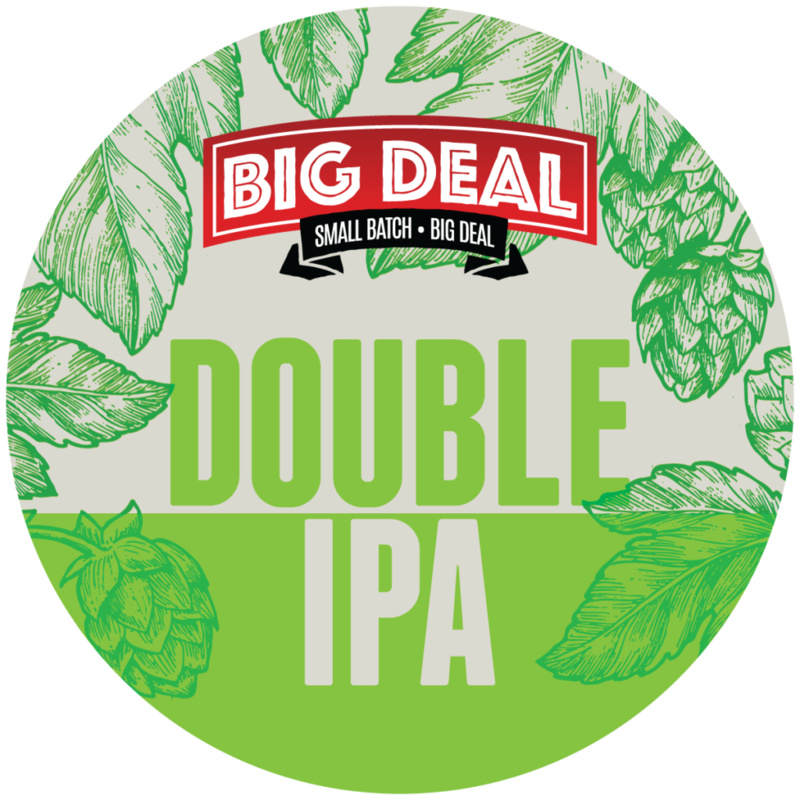 Big Deal DIPA is packed with hoppy complexity, brewed with copious amounts of El Dorado and Centennial hops, and balanced by deep malt undertones. Take in the summery aromas of pear, watermelon, and citrus before sitting back and sipping this big-time DIPA. Released June 2017. This bold Imperial Stout is truly a Big Deal. Chocolate and black malt balance out this thick, rich, creamy, chocolatey, roasty brew topped with thick brown head. It’s an ideal beer for the holidays, enhanced by the addition of sweet chocolate and just a touch of cherry tartness. Released March 2017.